Forward looking concepts in Air Traffic Management, including the desire to implement aircraft free flight, depend upon a new set of GPS enabled technologies, such as ADS-B. Performance verification of these new technologies necessitates a new generation of sophisticated maintenance and certification test tools. 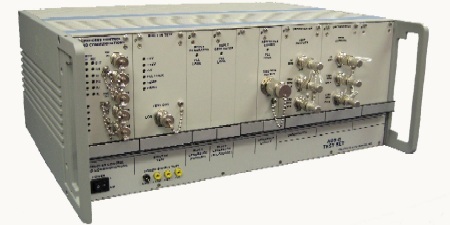 To meet this need, Freestate Electronics has developed the 1090 MHz ADS-B Test Set and the ADS-B Test System. These provide the test functions necessary to verify performance to the latest ICAO requirements and standards. ADS-B functions are controlled by use of a laptop PC loaded with FSE virtual instrument software. The characteristics of each RF transmission are precisely controlled by digital signals from the Process Control and Communication module. The scenario generator describes all aspects of each transmission event and allows quick review and editing of scenario configuration files. 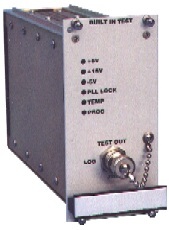 The two independent Reply Generator channels enable intricate event timing, including coincident pulsed RF transmissions. Up to three ADS-B systems may be synchronized to maximize signal generation capability and test versatility. 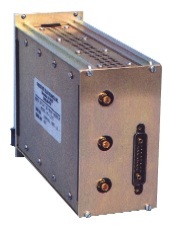 The ADS-B electronics are housed in seven RF shielded VXI plug-in modules mounted in a standard 7-inch high, 19-inch wide, rackmount chassis. This data sheet is available as a PDF file.